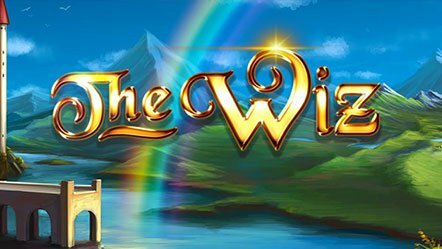 The Wiz slot is a new game for 2019 from Elk Studios who this time have gone with a fairly simple theme in comparison to some of their other slots like Wild Toro slot. You’re set in a magical kingdom somewhere with wizards and dragons and big, fancy castles. It has the potential to be pretty spectacular but I have to say the graphics and design here are pretty underwhelming. The background looks ok but some animations could have really brought it to life. The same goes with the symbols really which although they have some good detail, they just don’t stand out very much. These base symbols all pay for winning combinations for 3, 4 or 5 from left to right. However, they aren’t the only symbols in the game. Firstly, we have the Wild symbol as you’d expect. This is shown in the form of a ferocious dragon which will substitute for all other symbols in a winning combination apart from the Bonus symbol. What’s special about this one though is that it has multipliers associated to it. These range in value from 2x to 5x, meaning if it forms part of your winning combination the payout will be multiplier by the shown amount. Furthermore, if several of these Wild symbols form a win they will add together to give you some significantly better payouts. Finally, there’s also the Bonus symbol shown as a wizard. This doesn’t pay out anything on its own, just like the Wild symbol, but instead it’s used to trigger the Wizspins Bonus. Wizspins Bonus. This is the main Bonus of the game and you need at least 2 Bonus symbols anywhere on the reels to trigger it. This will give you 1 free spins, whereas 3 symbols will give you 5 free spins, 4 will give you 7 and 5 will give you the maximum number of 10 free spins. The appeal of these spins, however, is that all of the low-value symbols will convert into their respective high-value symbols. This means the Spoon changes into the Green Potion, the Key changes into the Chest, the Silver Compass turns into the Moon and the Silver Jar turns into the Sun. 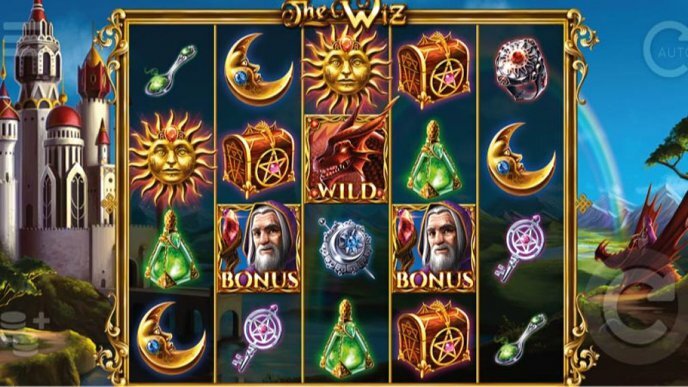 Furthermore, you can retrigger the Wizspins Bonus by landing more Bonus symbols to get the same number of free spins. A high number of spins can result in quite a few large payouts, especially with the Walking Multiplier Wild Bonus in play too. Walking Multiplier Wild Bonus. 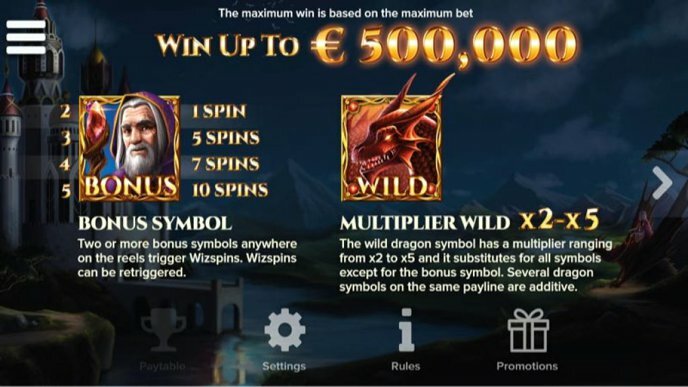 This is only available during the Wizspins Bonus and means that any Wild symbol will turn into a walking Wild symbol, still with multipliers of course. These will remain on the reels and move left after each spin until it reaches the end. In this way, you can hope to get a few more Wild Multipliers on the screen to get some bigger wins. The Wiz slot from Elk Studios is all about the Free Spins Bonus so luckily it’s a pretty good one. The main appeal here is the fact that all, not just some but all low value symbols are converted into higher ones. The result is a Bonus that when it pays, tends to pay pretty big but remember a win is guaranteed still. What’s more is that during the Bonus, the Walking Multiplier Wild symbols are active to help you generate some better payouts. When several multipliers are combined with high value symbols, this can lead to some big wins. Interestingly though, the value of the win can still be achieved through the base game, it’s just less likely. I really like how the Wilds work actually, but I do wish they’d include another small feature in the base game or a separate bonus to mix things up a bit. All in all, The Wiz slot is a fairly high variance slot with potential for some big wins so if that’s your thing, be sure to check it out and leave a comment down below. Graphics are lacking a bit. More free spins would have been nice.